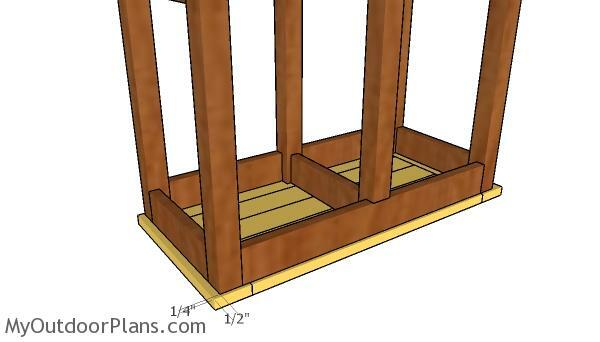 This step by step diy project is about bar stool bench plans. 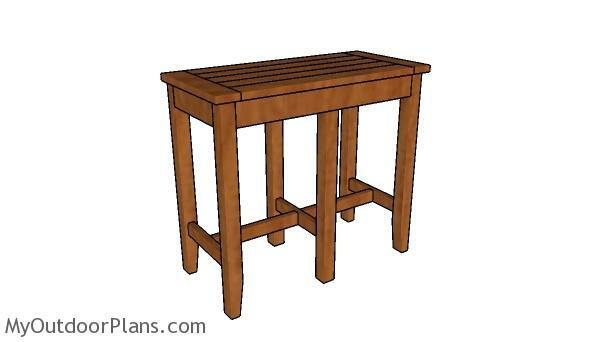 I have designed this simple to make bar stool bench, so you can build a few ones in one weekend. This sturdy bench has a minimalist modern design, so you can match it with almost any bar. Take a look over the rest of my woodworking plans, if you want to get more building inspiration. 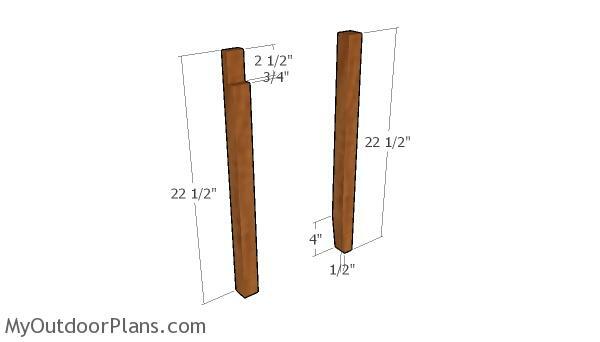 Use 1×3 lumber for the aprons. 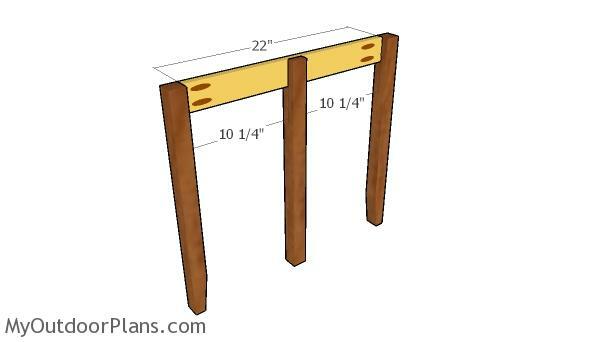 Drill pocket holes at both ends of the slats and the secure them to the legs with 1 1/4″ screws. Align the edges with attention, check if the corners are square and add glue to the joints. 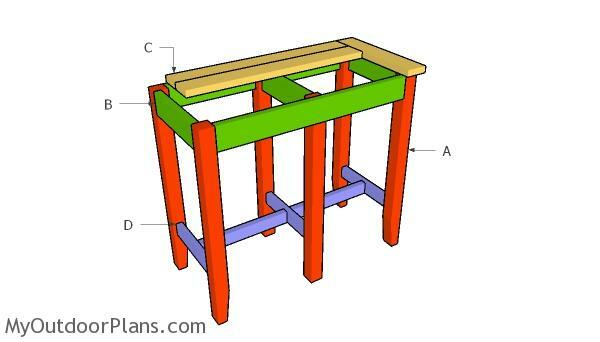 After building the sides of the stool bench, you need to lock them together tightly with the 1×3 supports. Drill pocket holes at both ends of the supports and lock them to the legs with 1 1/4″ screws. Fit the 1×2 supports to the bottom of the legs. 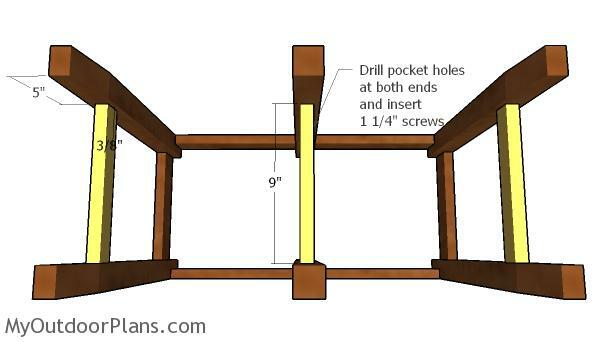 Drill pocket holes at both ends of the slats and lock them into place with 1 1/4″ screws. Center the slats to the legs and add glue to the joints and make sure the corners are square. Use 1×2 lumber for the stretchers. 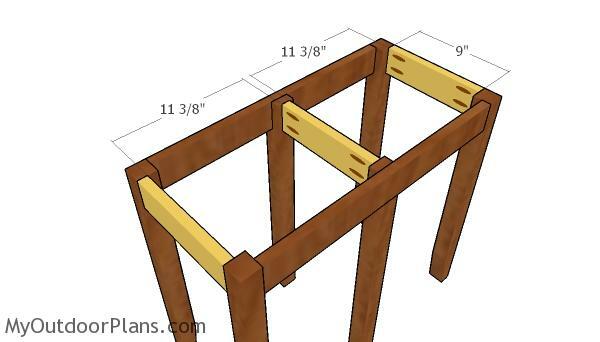 Center the pieces to the supports and then secure them with 1 1/4″ pocket screws. Use 1×3 lumber for the seat. 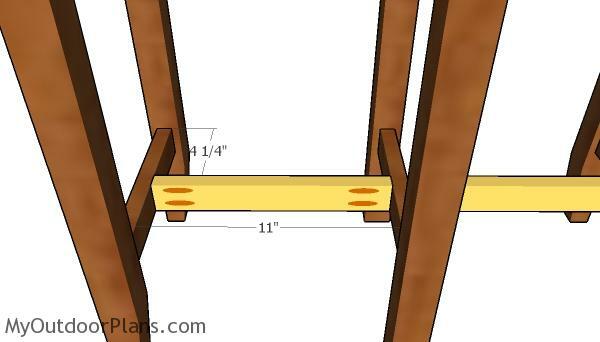 Drill pocket holes at both ends of the slats and then assemble the seat together tightly with glue and 1 1/4″ screws. 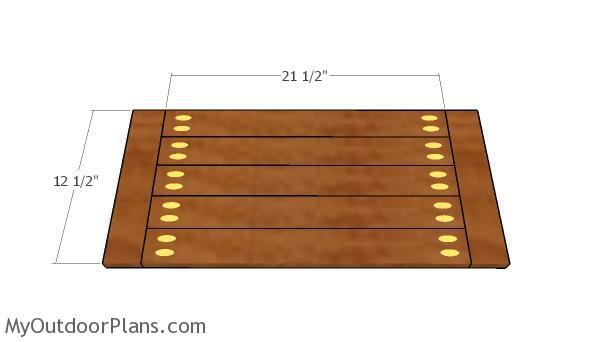 Make sure you place 1/4″ plywood between the slats to create even gaps. Center the stool frame to the seat slats. Make sure the edges are aligned, then drill pilot holes through the aprons and insert 1 1/4″ screws. Last but not least, you need to take care of the finishing touches. Fill the holes and the dents with wood putty and then smooth the surface with 120-220 grit sandpaper. 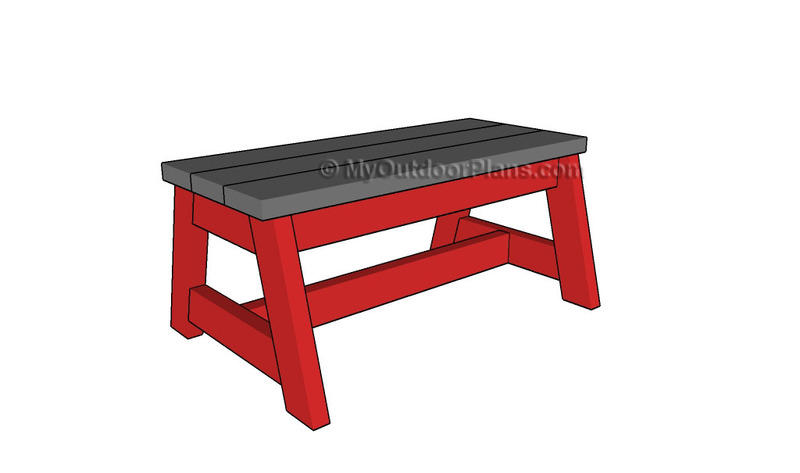 Apply a few coats of paint or stain over the components to protect the wood from the elements and to enhance the look of the bench. You can easily make adjustments to my plans to suit your needs and tastes. Moreover, you can adjust the height of the legs. See all my indoor projects HERE. 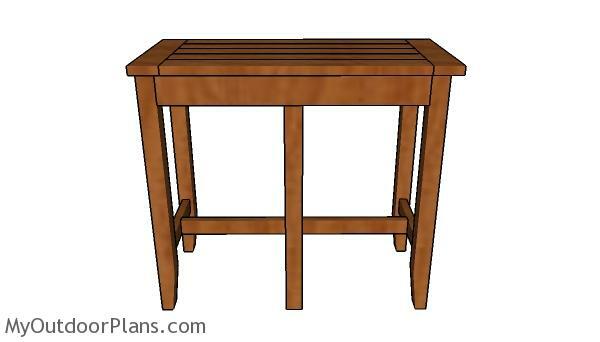 This woodworking project was about bar stool bench plans free. If you want to see more outdoor plans, check out the rest of our step by step projects and follow the instructions to obtain a professional result.